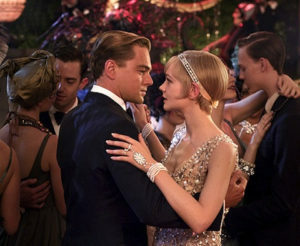 The Great Gatsby, which was originally published in 1925, chronicles the life of Nick Carrawayin Long Island, New York, and his view on society; a circle in which he finds himself a part of, along with the titular character, Jay Gatsby, his neighbour, and Daisy Fay-Buchanan, Nick’s cousin and Gatsby’s love interest. The novel is considered to be F. Scott Fitzgerald’s greatest work, which he wrote in 1924 when he moved to Valescure, France with his family, where they lived a lavish lifestyle that revolved around parties. Francis Scott Key Fitzgerald (September 24, 1896 – December 21, 1940), was born in St. Paul, Minnesota, where he grew up with his parents, Mary McQuillan, an Irish-Catholic wholesale grocer and Edward Fitzgerald, a wicker furniture businessman. When Edward’s business failed, he took a job as a salesman for Procter & Gamble, which made him take his family on frequent trips to and from Buffalo, Syracuse, and upstate New York. In 1908, Edward lost his job and the family moved back to St. Paul when F. Scott was only 12. In 1911, F. Scott attended the Newman School, a prestigious Catholic school in New Jersey, where his talent for writing was recognized by his teachers. Encouraged, he entered Princeton University in 1913 to further hone his craft, which he did so greatly, but at the expense of his coursework. And in 1917, he dropped out of the university and enlisted himself in the army. As a second lieutenant in the infantry, he was then assigned to station Camp Sheridan, Montgomery, Alabama, where he met Zelda Sayre, the then 18-year old daughter of an Alabama Supreme Court judge. When the war ended in 1919, F. Scott went back to New York determined to be wealthy enough for Zelda to marry him. His novel, This Side of Paradise, was published in 1920, and at 24 years old, F. Scott became one of America’s most promising young writers. 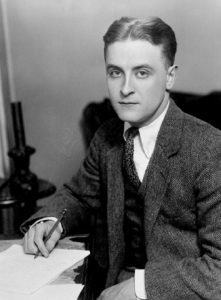 Its success was equated to Zelda marrying him a week after the novel’s publication, and they had one daughter, Frances Scott Fitzgerald. Soon after, F. Scott supported his family financially through his writing of novels and short stories, while living an extravagant celebrity-status lifestyle. In 1922, he published his second novel, The Beautiful and Damned. The book cemented his status in the literary scene as one of the age’s greatest writers, effectively chronicling this emerging culture of wealth, extravagance, and ambition in the 1920s. This was the beginning of an era, which he labelled the “Jazz Age,” one that resonated in The Great Gatsby, with Nick Carraway and Jay Gatsby echoing the life of its author, and Daisy Fay-Buchanansporting shades of his wife, Zelda. As seen through the eyes of Nick Carraway, we rediscover the age in which F. Scott Fitzgerald lived in and how he lived it ─ basking in its rhythm, alcohol, and culture, all of which is invoked in the novel, thus proving it to be a literary work critical of the American Dream and its modernism. One of the issues that reshaped America after the war was a number of political changes that included the Eighteenth Amendment. 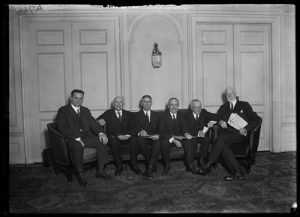 On January 16, 1919, the Eighteenth Amendment was ratified to be effective on January 16, 1920. The Eighteenth Amendment, proposed on December 18, 1917, ushered in the Prohibition era, which was led by the National Prohibition Act, or popularly known as “The Volstead Act.” This prohibition was meant to outlaw “the manufacture, sale, or transportation of intoxicating liquors,” and with this law in effect, widespread illegal alcohol trade swept the United States. Controlling alcohol consumption in America goes as far back to 1657, wherein the General Court of Massachusetts illegalized the sale of hard liquor. 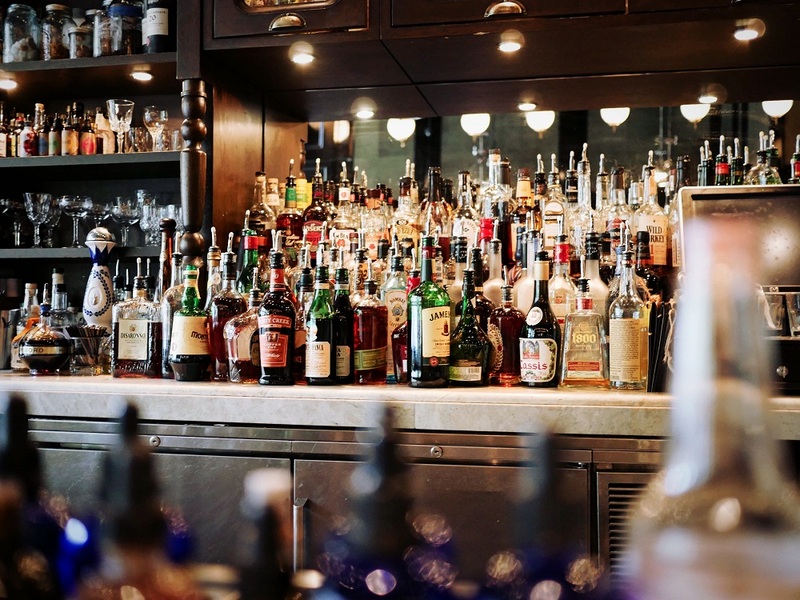 Succeeding attempts at prohibition came and went as alcoholic drinks became a staple at social gatherings, but as 18th century physician Benjamin Rush puts it, excessive drinking can cause physical and psychological deterioration. Temperance organizations were formed by communities in Connecticut, Virginia, and New York, with the former creating one as early as 1789, and the latter states in the 1800s. Other states soon followed suit in the coming decade. The prohibition or “dry” movement began in the 1840s, urged on by religious denominations, most especially when liquor-distributing saloons were strongly associated with prostitution. Supporters of the prohibition were nicknamed “dry,” while opposing factions were termed as “wet.” Temperance communities reduced from taking drinking to a moderation to total abstinence from alcohol consumption. However, during the American Civil War, the movement weakened from 1861 to 1865, only to be revived by the Prohibition Party in 1869. In 1881, Kansas became the first state to have its Constitution outlaw liquor. Carrie Nation, along with The Carry Nation Prohibition Group, walked into saloons and reprimanded customers who drank. The group also used other ways in enforcing their cause: they destroyed bottles of liquor in the saloons, sang, prayed, and counselled saloon keepers to stop selling alcoholic drinks. The years that followed was known as the Progressive Era, stretching from 1890 to 1920. The Anti-Saloon League took over, causing pervasive hostility towards saloons, an advocacy that was extensive enough to influence political agendas. Prohibition became an important issue in both the state and local politics during the ensuing years, causing the two opposing forces, the “dries,” which were comprised of Protestant denominations who pegged saloons to be damaging and sinful, and the “wets,” Roman Catholics who deplored the idea of a government that dictated moral standards. When the dries outnumbered the wets in January 1917, 140 to 64 in the Democratic Party, and 138 to 62 among Republicans, it didn’t take long before the Volstead Act was implemented in the months that followed. The Prohibition Era produced a handful of social problems: mafia organizations resorted to bootlegging, wherein they created a violent black market that catered to the alcohol needs of the rich and powerful. Gangs determined to climb up the ladder of notoriety influenced law enforcement agencies into corruption, causing price hikes in liquor due to its demand. Also, other people and opportunists resorted to make alcohol at home; those who opted to sell alcohol transported their goods from town to city, city to town. Having evaded taxation, with the illegal selling and purchasing of alcohol, these bootleggers began to soup-up their automobiles in order to outrun and escape the law. These bootleggers’ vehicles were known as “moonshine runners,” those who sped away from the clutches of the revenue agents or “revenooers” from the Bureau of Alcohol, Tobacco, and Firearms (BATF). The music industry was also affected in the Prohibition Era ─ with saloons closing down with the inability to serve liquor, speakeasiesbecame go-to places. The Great Depression caused a migration: movement from New Orleans to Chicago, and then a continuing northward movement that lead to New York, where speakeasies featured jazz music. With the advancement in recording technology and prevalence in speakeasies, jazz music sprang into popularity. Drinking liquor is one of the most noticeable activities that recur throughout the novel. It is often said that “writers write about what they know,” which essentially translates to writing autobiographically. F. Scott Fitzgerald, for instance,had lived a celebrated life; a lavish one that had a lot of drinking involved. This drinking spree of his eventually turned into a serious drinking problem, one that led people to brand him as an alcoholic. When Zelda suffered a mental breakdown, he also turned to alcohol to escape the reality that his wife was being incoherent; she had spent the remainder of her life in a mental institution. F. Scott’s last novel, Tender Is theNight, was critically praised, but sold poorly. And then he turned to screenwriting, but only completed onefull manuscript, Three Comrades, before he was fired because of his alcoholism. It was during the time of the Prohibition that The Great Gatsby had been written, and the novel reflects this, with the people’s rampant thirst for liquor emanating in various scenes. In all nine chapters of the novel, there would be at least a single passage mentioning liquor, the act of drinking, or an appearance of someone drunk. The prevalence of drinking in the novel can serve as a basis F. Scott’s lifestyle, considering his struggle with alcohol. In Chapter I, with the story set in 1922, the small party enjoying each other’s company at the Buchanan household has alcohol included in the serving list.Cocktails and heavy drinking are mentioned and presented early into the novel, via Jordan Baker and Tom Buchanan. Their drinking brings in the topic of Nick Carraway being a West Egger, and thus introduces the topic of Gatsby, his popularity, and his parties. Their conversations also grew meatier as topics went in and out of their thoughts: civilization, racism and white supremacist thinking, the butler’s nose, and Tom’s womanizing. Drinking causes them to speak bolder to each other, with fewer inhibitions, as Tom and Daisy Fay-Buchanan manage to tell Nick to woo Jordan Baker by the end of their meal. 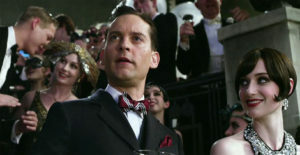 In Chapter II, Nick Carraway is situated in an apartment living room with Tom and his mistress, Myrtle Wilson, when Tom brings out a bottle of whisky for them to enjoy. In this scene, Nick stresses that he had only been drunk twice in his life, that afternoon being the second. He described things to be dim and hazy, even as though the sun was up. Nick also narrates how, while seated, that whisky had the capacity to distort perception, turning everything senseless. They would be later joined by Myrtle’s sister, Catherine, and Mr. And Mrs. McKee. Again, it was while they were drinking that Gatsby is mentioned for being a party-thrower, among the other rumours about him. A second bottle of whisky was requested, and the scene that ensued after is Tom’s breaking of Myrtle’s nose. The violence that alcohol potentially induces in people when they are intoxicated is presented. Owl Eyes’ statement and the quoted block above showcases the gung-ho lives that the partying people in West Egg elucidate. 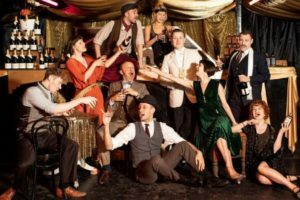 This party at Gatsby’s fashioned the drunkenness of its guests; people dancing closely to the tunes of popular Jazz music, a woman weeping, husbands arguing with their wives, and a road mishap. This kind of drinking comes off as some form of escapism for the uninvited guests, wherein their lives are romanticized as they live up to the hollow and wealthy way of the West Egg’s nouveau rich. Speculation on Gatsby being a bootlegger is first mentioned in Chapter IV, as a number of ladies gossip about the mysterious Oxford man – a reference to Gatsby. It is in this chapter wherein Nick enumerates all the attendees of Gatsby’s parties during the summer, separating the East Eggers from West. In a particular flashback scene, Daisy is described to be drunk like a monkey by Jordanon the day before the Buchanans’ wedding, hogging a bottle of Sauterne, and talking in slurred gibberish. However, Daisy would soon revoke her drinking binges, as Jordan narrates how keeping sober among drunkards is an advantage. It allows one to control their speech and act with pecuilarity without anyone noticing. Chapter V features Gatsby and Daisy’s reunion, which had been set-up by Nick. As the two reach Gatsby’s room after a tour, Gatsbythen pulls out a wine glass and drinks a bottle of Chartreuse. Already nervous to begin with, Gatsby, as Nick had noticed, had passed through two states and was entering a third one, owing to his drinking. Embarrassment, unexplainable joy, and then an expanse of wonder at Daisy ─ Gatsby was in all of those three states. In Chapter VI, along with the revelation of Gatsby’s past and connection to Dan Cody, it is also discovered that indirectly, Cody serves as the reason why Gatsby drinks so little; in parties, women would swathe his hair in champagne. Again, the speculation on Gatsby as a bootlegger is revived when Tom and Daisy attend one his parties. Tom throws the idea, relating it to the emergence of the new rich, as most of them were known to be big-time bootleggers. Chapters VIII and IX barely contain alcohol consuming scenes, but there are a couple of images cited here and there. Take, for example, that in Chapter VIII, Catherine (Myrtle’s sister) was said to be intoxicated when she had been informed of her sister’s death. And in the last chapter, Chapter IX,no drinking scene is shown, but Nick envisions a woman in a white dress, dead-drunk and lying in a stretcher, her bejewelled hand hanging from the side.This is how Nick pictures the East: distorted, intoxicated beyond function. Conclusively, as F. Scott Fitzgerald lived an extravagant life that revolved around drinking, so did the people of the West and East Egg, which serves as an indicator of the holding power of liquor on man. Gatsby died in the end, and even though he wasn’t a strong drinker, his Saturday parties was as a vessel for others to drown their selves in their own fantasies. As a modernist text, The Great Gatsby conveys the lives of America’s elite as people lived it up – actors of the emerging generation of wealth and power as presented by a character such as Jay Gatsby. The sociology of the wealthy is presented through such drinking affairs: that even strongly enforced laws such as the Volstead Act had been unable to incapacitate the modernist movement.